cute little life: Psst! Giveaway on one of my favorite blogs! Psst! Giveaway on one of my favorite blogs! 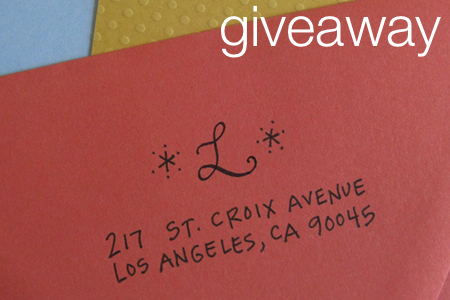 Hop on over to paper n stitch for a peek at her most recent giveaway! In case you're looking for a Christmas present for me, I like the Reuben address stamp. this Reuben address stamp is reserved for this friend...Christmas is just around the corner and your birthday is the next stop! toot toot - I'm on board!